In-depth reflections and teachings on the student-teacher relationship. What is transmitted from a spiritual teacher to a student? The possibilities of love and freedom, of living in a joyful heart. Extraordinary spiritual teachers empower us, pointing us towards our own awakening. In their presence, we can feel the qualities of enlightenment rather than just hearing about them, and we are inspired to see in a new way. 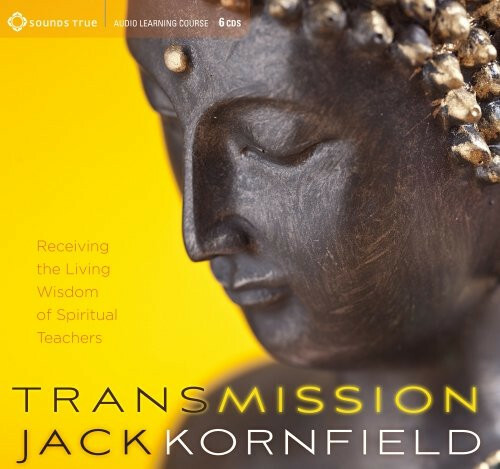 With Transmission, author and teacher Jack Kornfield shares eight sessions of in-depth teachings illuminating the student-teacher relationship. Through a treasure trove of personal stories about the Dalai Lama, Chögyam Trungpa, Dipa Ma, Ajahn Chah, and other masters, we see how teachers embody the many facets of the jewel of enlightened consciousness—including humor, discipline, humility, joyousness, uncanny perspicacity, and unfathomable compassion—and how we too can fully awaken these qualities in ourselves. Exploring such topics as devotion, the tender heart of sadness, meditation, and patience, Jack reveals the power of opening one's heart to a true spiritual teacher as well as the potential pitfalls and challenges of the teacher-student relationship. With warmth, humor, and practical advice—including what to do if there are no spiritual teachers near your home—Transmission opens possibilities for anyone to deepen, practice, and awaken. Do we need teachers on the spiritual path?